4-H Camp Ohio is a 4-H camp centrally located in northern Licking County, approximately five miles east of Utica, Ohio. It is set in beautiful rolling hills and now has more than 500 acres of land to serve young people. 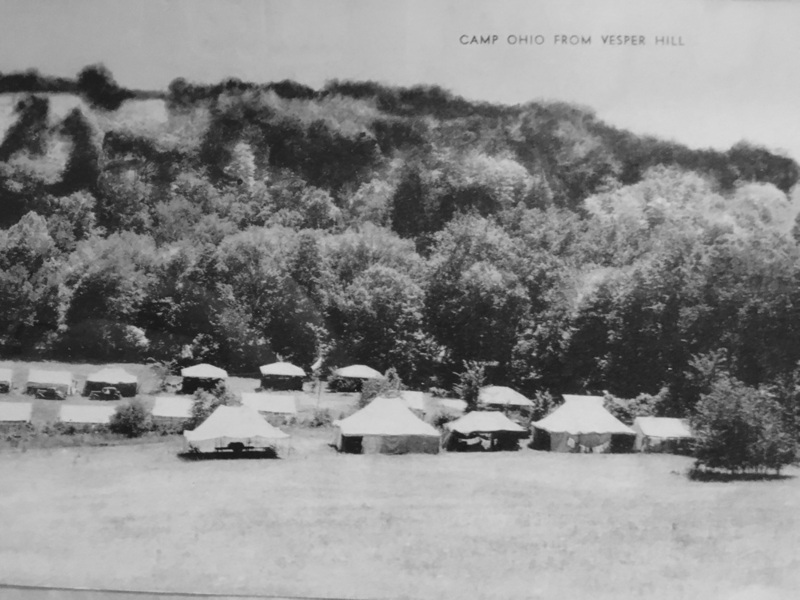 The first Ohio 4-H Camp was held in 1920. The first camp lasted two weeks. Forty 4-H boys and their advisors attend the first week and 48 4-H girls and their advisors attended the second week. Early facilities were crude. Campers slept in tents on the ground with wool sacks stuffed with straw as mattresses. Cooking and eating were outdoors. 4-H Camp Ohio helps campers become successful adults. 4-H Camp Ohio is a quality educational facility where youth and adults build memorable experiences through nature and recreational programs. 4-H Camp Ohio was established in 1928 when several 4-H Extension Agents (now titled as Educators) each contributed $500 of their own money to buy 129 acres for $1,632.67. This unselfish act was done to give young people in central Ohio a readily accessible camp that could offer excellent programs from which the campers could learn. Members of the Extension staff signed notes for $800 to finance the operation the first summer, 1928, at 4-H Camp Ohio. One hundred forty-four Extension workers invested in mortgage debenture notes to finance the original swimming pool which was built in 1936. The Hawke Farm (92 acres) was purchased for $8,500. The Hersman property (11 acres) was purchased for $1,500. The Colville Farm (81 acres) was purchased for $50,000 in 1974. 4-H Camp Ohio now has more than 310 acres in land holdings. It has summer facilities for 300 and winterized facilities for 200 resident campers. Staff cabins (Bull Pen and Cow Palace) hold six men and ten women. The camp provides a camping home for thirteen counties and one statewide 4-H camping programs with more than 4,800 4-H members being served yearly. Over 2,000 additional youth are served through resident outdoor education school camps from Coshocton, Franklin, Licking, Marion and Muskingum Counties. Field trip groups, weekend retreats and conferences are also part of the camping population. 4-H Camp Ohio is striving to offer the optimum in outdoor education for the people attending 4-H Camp Ohio and has established an educational program of which all interested people can be proud. The 4-H Camp Ohio program is designed to use the resources of the camp to the maximum. The program areas are: nature study, creative arts (crafts), Adventure Programming (Tower, High Ropes and Team Challenge), Shooting Sports, Aquatics, Recreation (indoor and outdoor), Living History (pioneer life, Native American life studies and farm studies). Since July 1978 4-H Camp Ohio has received accreditation from the American Camp Association (ACA) yearly. The ACA is the top national youth camping association in the United States. As 4-H and the Ohio State University Extension is part of The Ohio State University, 4-H Camp Ohio is in the unique position of drawing upon the talents and resources of The Ohio State University. This is not to say that 4-H Camp Ohio is able to draw upon the financial resources (in fact, no tax dollars have ever been used for facilities) but, rather, the talents and abilities of the faculty, staff and students. This, of course, gives a tremendous base from which to design programs and educational opportunities for young people.